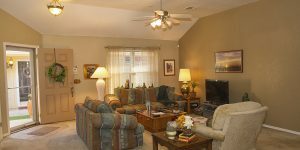 We understand how important it is to have quality real estate photography at an affordable price. We're born and bred, right here in Oklahoma, and ready to go above and beyond for you. Professional photos will take your real estate sales and rentals to the next level. You can’t afford to take dark, blurry, and otherwise poor photos of your property with your cell phone and expect top prices. Over 30 years combined professional experience in architectural photography is available to you for real estate, rental homes, building photography and more. Located in Oklahoma City, Oklahoma, SightKey Architectural is a premier provider of professional custom photography and photography services crafted specifically with you in mind. We approach every job with the eye of an artist and the technical acumen that only experience and training can bring. Other cities that we service regularly include Edmond, Norman, Moore, Midwest City, Del City, and Bethany. Contact us now at info@sightkey.com to get started.